Takou Mountain is a must for any visitor to Mui Ne. About 30 km southeast of Phan Thiet City, it take one hour drive from Mui Ne, it has its own special magic. Hike up the mountain or take the gondola through beautiful tropical rain forest full of birds and wildlife to the Mountain Pagoda at the peak. The pagoda was built in 1879 at the height of 457m compared to the sea level. Takou Mountain is a must for any visitor to Mui Ne. About 30 km southeast of Phan Thiet City, it take one hour drive from Mui Ne, it has its own special magic. Hike up the mountain or take the gondola through beautiful tropical rain forest full of birds and wildlife to the Mountain Pagoda at the peak. The pagoda was built in 1879 at the height of 457m compared to the sea level. All the year round there are green trees, flowing streams, singing birds and apes beside the pagoda. 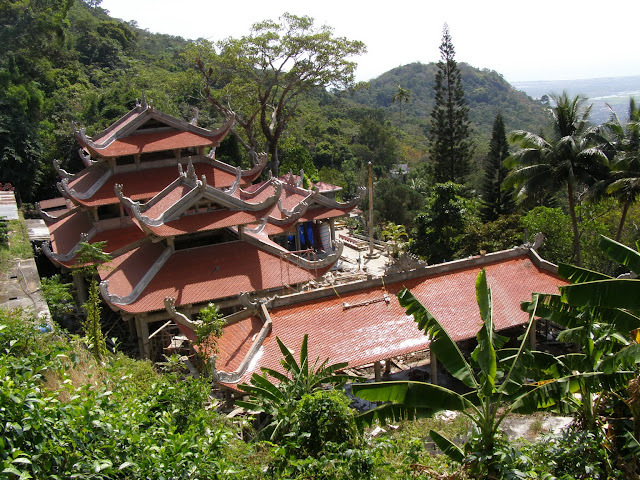 Takou Mountain pagoda is a common name used for 2 pagodas which are Linh Son Truong Tho and Linh Son Long Doan. 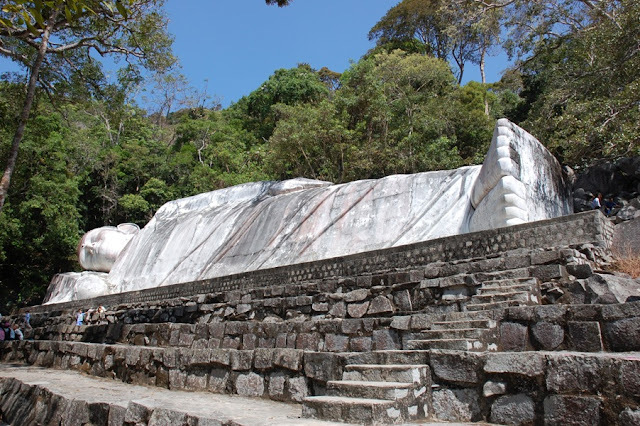 Climbing up Takou Mountain, beside looking at the beauty of forests and bowing to Buddha, visitors can also contemplate the giant "Sakyamuni statue entering Nirvana" with the length of 49m and height of 6m which is set Vietnam record. About 50m from lying Buddha statue is the group of "Three Buddha Postures"; all of these 3 statues are about 7m high, with kind and tender eyesight, are looking down to the earth and opening arms to save people and earth. Takou Mountain pagoda with meditative beauty in natural sceneries has attracted hundreds and thousands of visitors for pilgrimage every year. If visitors do not want to conquer the mountainous path with rocky steps to get to the pagoda, they can enjoy an overview of Takou Mountain by cable car.